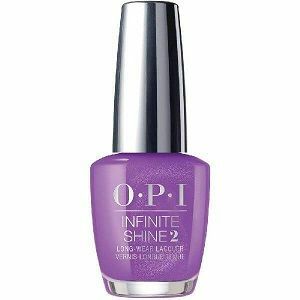 OPI Infinite Shine Long Wear Lacquer, Samurai Breaks A Nail, ISLT85, .50 fl. oz. Vivid magenta purple jelly nail color with plum undertones and strong iridescent blue and pink shimmer.